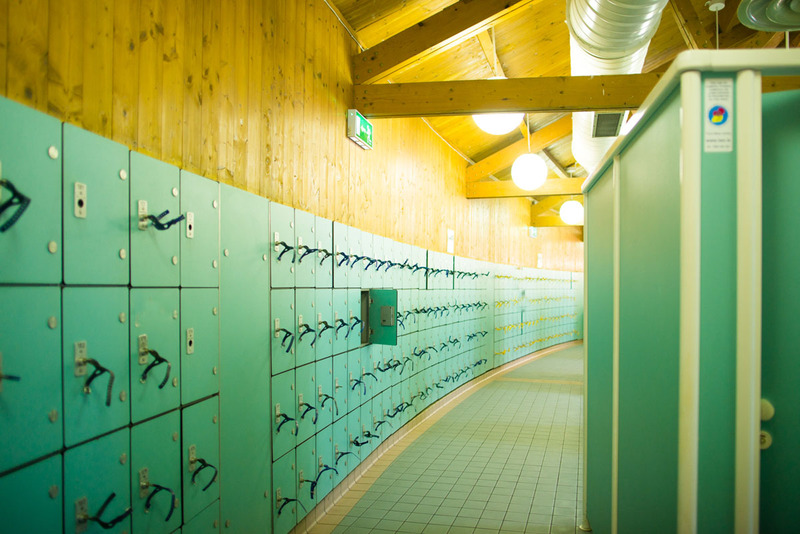 The Aqua Dome has a gym that encourages all levels of fitness enthusiasts from the complete beginner to the elite athlete. Our fully equipped gym has over 20 pieces of top of the range fitness equipment along with a top of the range weight equipment and free weights. Adult admission includes full use of the gym. 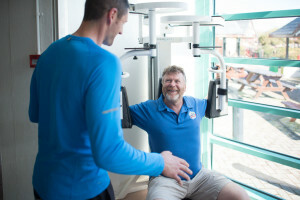 Special permission is required to use the gym if you are under 18 years. Whatever your appetite we have an option for you. The Aqua Dome café offers a variety of tasty eating options, home baking, and a selection of drinks to choose from. Also on offer are teas and a selection of coffees and hot chocolate. For those wishing to cool down why not try out our ice creams, cones and slush puppies. 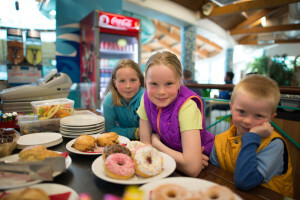 The Aqua Dome cafe is open daily from mid-June to the end of August (including all the school term breaks throughout the school year) and during weekends from September to mid-May. 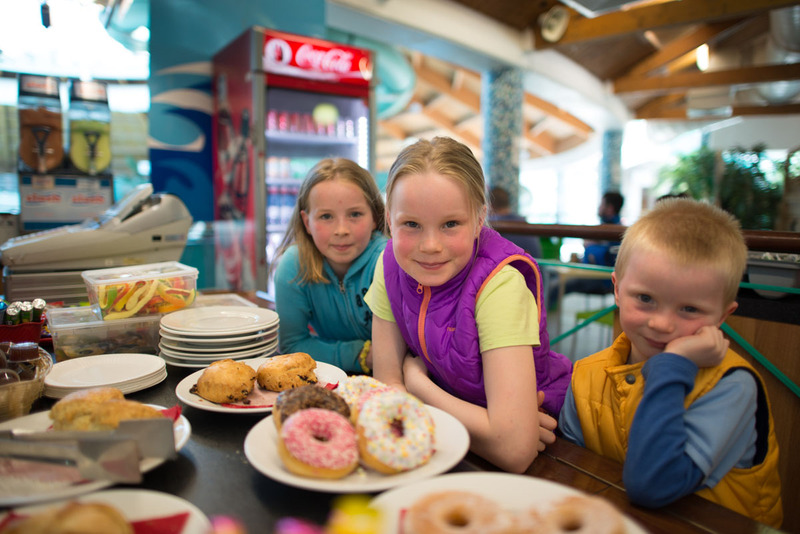 There are special birthday party and school tour meal deals- €5.50 for sausages or fish-fingers or chicken nuggets and chips and pack of fun gums and a caprisun. Please phone Fergal to book your meal deals on 087 2704203. The cafe accepts cash only. 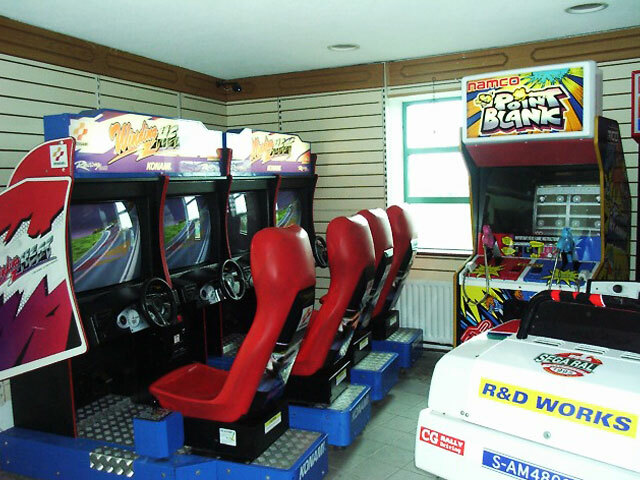 Here is a Games Zone area where you can try your luck at Slam Dunk, Ex1 or the Magic Safe. Try out the Real Soccer machine or test your dancing skills on the PREX 3 dancing machine. 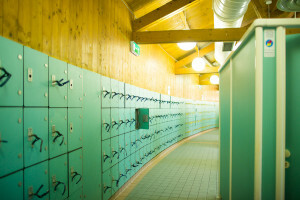 The Changing area consists of 54 private changing cubicles, 6 public showers, 8 private showers, Gents toilets & Ladies toilets both with Baby changing units and a First Aid Room, A disabled toilet is located in the changing area, Toilets are also located at the reception area for your convenience. There are 4 family changing cubicles.